★This compact cutting board is made of semi-transparent blue resin with minimal odor. Its 3-ply composition features an internal hard layer sandwiched by softer outer layers, increasing knife blade longevity. 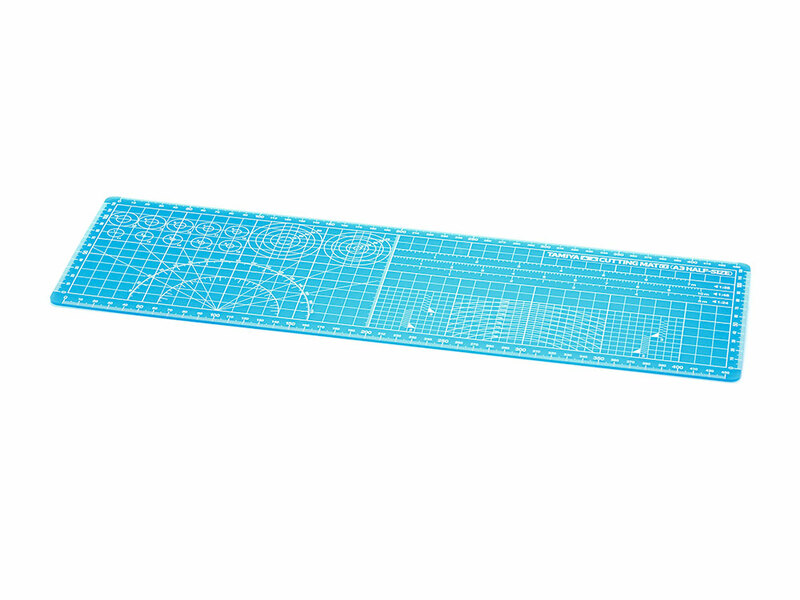 ★The 145mm x 450mm surface area has front printed grid, increment angles, standard and scale conversion rulers, curved and circular markings, and a plain reverse side. ★Thickness: 2mm. Information is correct as of September 10, 2018. Specifications are subject to change without notice.